Yesterday was the most special day in my 17 years of existence.I received the gift of the Holy Spirit through the Sacrament of Confirmation. FIRMNESS. (This is the time I remember our gang, when we used to think or plan on where to go or where to eat, we always say "kahit ano" or "kahit saan" so we sometimes end up eating in different places). Kizia, Gino, Clarence and to our other blockates who were there to witness the event (hehehe) thank you so much for celebrating with us... and also to those who sent their "congrats" and "God bless". I was surprised to see Sister Pinky during the mass! Our PEdance Vietnamese friend was also there (I saw her at the South Gate, it was so nice of her to congratulate me and she said that she prayed for me too). 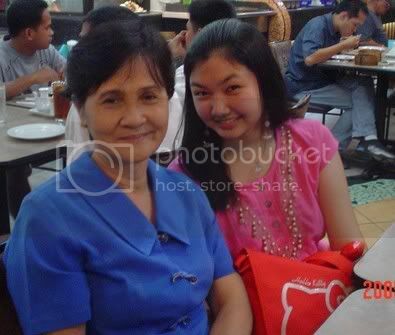 My mom, achie gracey, and Ninang Del (yes i can officially call her ninang!) 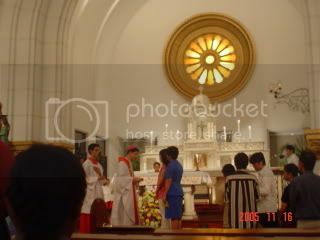 were also there to witness the kumpil rite. I felt warm tears falling while I was reading Ninang Del's and my mom's letter for me.